How does permanent 4WD sound to you? We thought so. 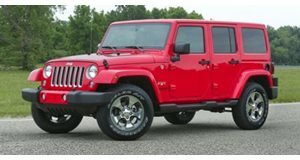 We’re only a few months away from the 2018 Jeep Wrangler reveal at the LA Auto Show, but JLWranglerForums.com has gotten hold of some leaked details that will surely please the purists. The information itself looks to be screenshots taken from a Jeep dealer’s computer system, meaning everything appears legit. But the real reason why we’re excited is this: a full-time 4WD system. Specifically, this is the Selec-Trac full-time 4WD system, and it will be optional on the four-door Wrangler Unlimited Sahara only. All other Wranglers will offer 4WD with the familiar transfer case and will be RWD by default. Other leaked details show that two-door models will be offered in just two trims, Sport and Rubicon. Only the four-door Wrangler offers the Sahara trim. Exterior paint colors include Granite Crystal Metallic, Acid Yellow, Firecracker Red, Billet Silver Metallic, Bright White, Black, and Nacho. As far as roof options go, buyers will have several choices. For example, there’ll be the familiar black three-piece hard top and body color three-piece hard top. To make checking a box even more difficult, you’ll also be able to opt for a premium Black Sunrider soft top, premium tan Sunrider soft top, premium black soft top, premium tan soft top, and a black power soft top. Under the hood will be a choice of three engines, either a 2.0-liter inline-four, the familiar 3.6-liter Pentastar V6, or (yes!) the 3.0-liter V6 turbo diesel. Gearbox options will be a six-speed manual or two different eight-speed automatics, although we don’t know yet which engine is paired to which. 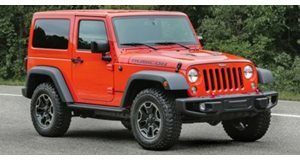 The leaked screenshots also show a bunch of exterior and interior options, all of which are similar to what’s offered on the outgoing Wrangler. What we’ve known for a long time is that the redesigned Wrangler will continue to ride on a body-on-frame chassis, as opposed to a unibody design. This will ensure the Wrangler’s off-road and rock crawling capabilities. Chances are we’ll learn more new Wrangler details before its official unveiling, so stay tuned.